Cheers for summer! We are back at the warmer temperatures, the positive and loose mood and of course the summery festivities are about to start again. Whether it’s a long-awaited wedding, a sunny garden party or an evening cocktail – we definitely want our outfits to be prepared. If you have a look at the selection of the Esprit online-shop, you will look even more forward to summer party season. Let’s get inspired! It’s finally time to enjoy the sunny hours out in the garden again. Since it is even more fun together, a garden party comes in perfectly. From the casual barbecue at a friend’s place to the chic venue of a summer party, you can never go wrong with a flower dress. It stands for good vibes and it even matches the floral surroundings. To make sure you still feel comfortable in your outfit after a few hours sitting on the garden chairs, a midi or a maxi length will have you covered. However, if you are up for a short version anyway, best go for a dress with an A-line silhouette. Compared to a tight bodycon dress, it won’t give you the struggles of adjusting everything to its place all the time. When it comes to the shoes, some flat slippers or slingback-sandals are the go-to companions for every garden party – and they won’t make you sink into the grass like some thin stiletto heels would do. They are celebrated the whole year round but weddings definitely have their peak season from spring to late summer. As a guest, it’s no secret that you start to think about the right outfit already several weeks in advance. Luckily black or white are no option anyway so the decision gets a bit easier. 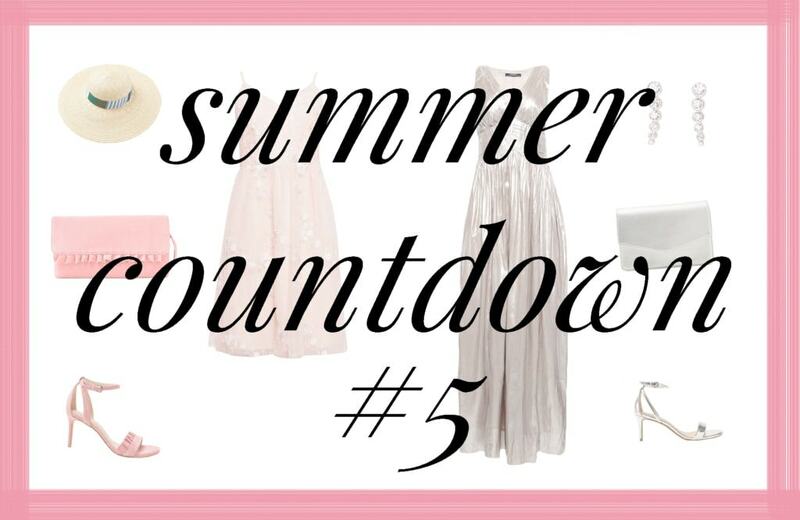 What about a soft pastel pink tulle dress for example? It looks festive, feminine and with its airy cut it comes in perfectly for a well celebrated wedding day. For the more vibrant version, yellow is not only the trend color of the season but it also lets you spread some more happiness for the big day. After all, yellow symbolizes cheerfulness, vitality and optimism – quite appropriate for a wedding. Pink sunsets, long summer nights and a chilly breeze along. Whether you prefer to enjoy the evening hours at a cozy rooftop bar, at an open-air theatre or while having a refreshing drink by the lake – you will always find a reason to get dressed up. Apparently, the outfit has to be on point. For the glamorous happenings, you can certainly go for some glitter. 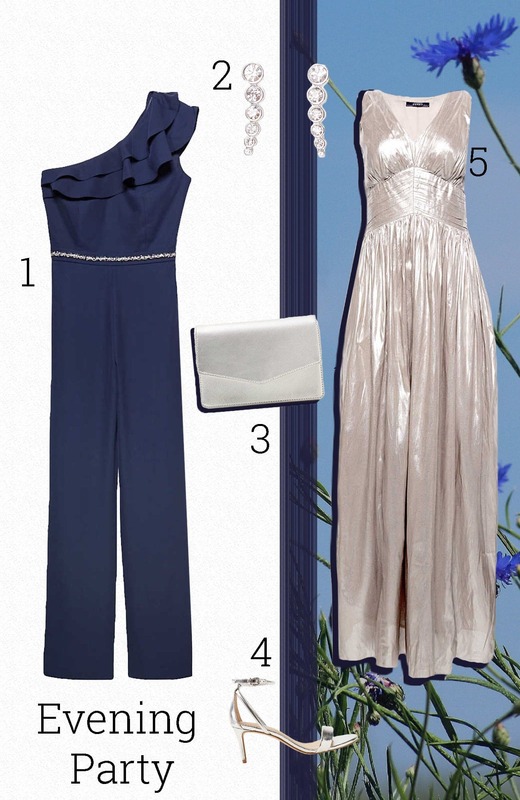 Hereby, a silver evening gown is just as chic as a night blue jumpsuit with ruffles. Just pair it with some metallic kitten heels sandals and some delicate jewelry and there you go. In collaboration with Esprit Switzerland. Trendy Tuesday: Let's Dress Up Funny! 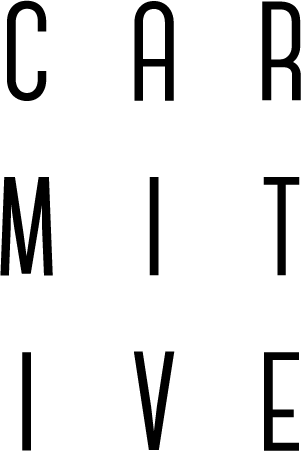 Posted in Trendy Tuesday and tagged Dress, Fashion, Inspiration, Lifestyle, Musthaves, Outfit, Spring Summer 2018, SS18, Style, Summer Dress, Things to love, Tips, Trend. Bookmark the permalink. Love your selection, can’t wait for Summer! I love these selection babe!! Oh thanks a lot Monica! Oh thank you very much, I am glad you liked them! Oh yes picnics are always a good idea – and I am so happy you like the selection! 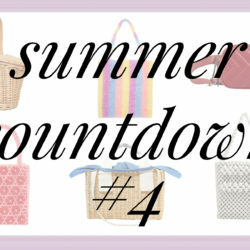 I hope you will find your perfect summer dress! You’ve thought of outfits for everything! Oh thanks for your feedback! I am loving these pretty summer looks! so in love with that navy one shoulder jumpsuit!! Oh thank you very much Jessi! You have such amazing taste, girl! I’m loving each piece you’ve selected and for the occasions, too. I especially love that lemon printed dress, it’s a print I’m obsessed with for summer. Thanks for sharing, beauty, and I hope you have a great rest of the week! Thanks a lot Chloe! Have a great Sunday! Such a pretty selection hun! Oh thank you very much Lovely! 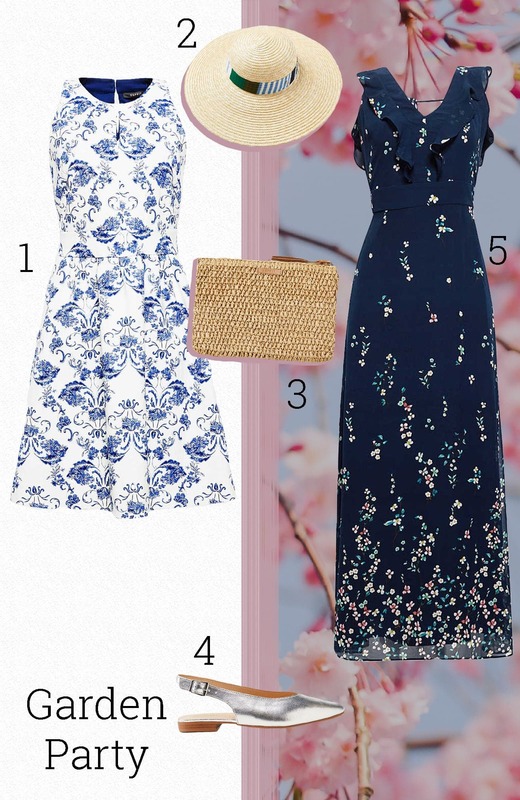 I love the summer dresses with the tiny florals! So perfect! Oh many many thanks Anett! Oh thanks so muuch! This means so much! I am loving that bright yellow floral! It’s so cheery! Oh thanks so much Yuka!! This post is exactly what I need right now, Carmen! 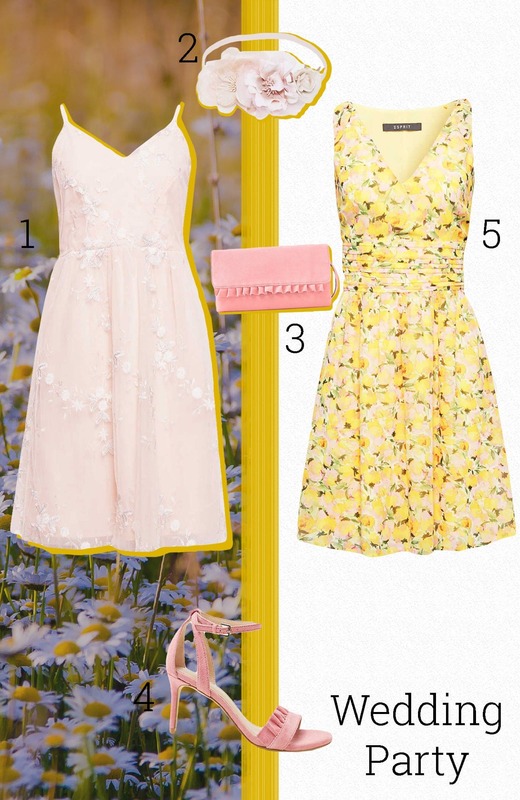 I have been hunting for a dress to wear to a wedding this summer and LOVE that yellow one! Oh vielen lieben Dank Tina! Lovely looks! I love all of them! Oh that’s so exciting! I can’t wait to see your wedding party outfit Andreea <3 have a great day too! Oh das freut mich Jimena, vielen Dank für dein Feedback! Oh thank you very much Laura! I love these looks you put together! They are all so stunning! Oh thank you so much V! Have a great day! Very nice post!! Enjoyed going through this article!